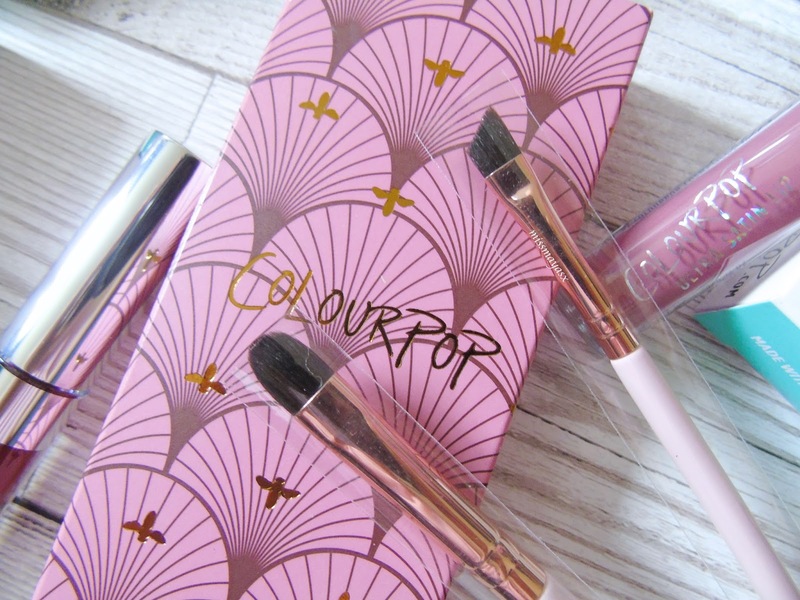 ARE COLOURPOP COSMETICS REALLY WORTH THE HYPE? 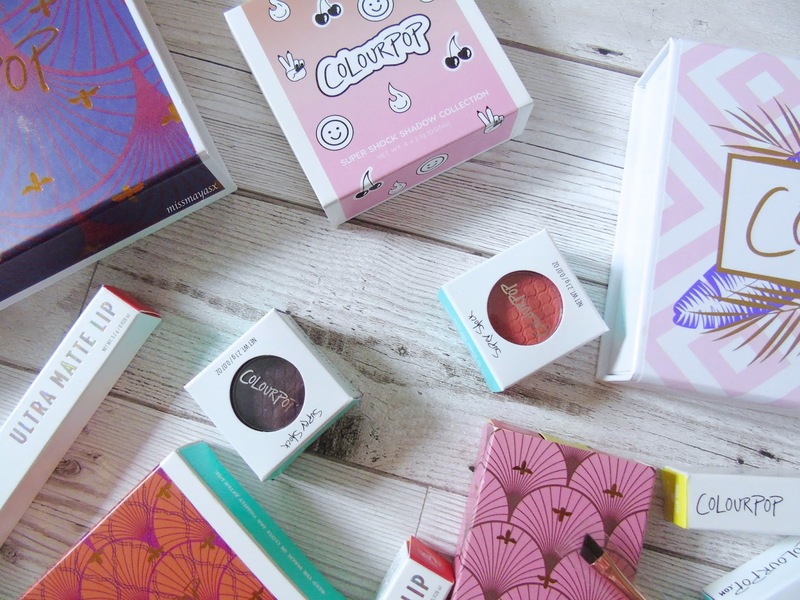 So, you're either wondering whether to try out some Colourpop products, want to see my collection, or are genuinely interested in what my thoughts are of this brand and their cosmetics. 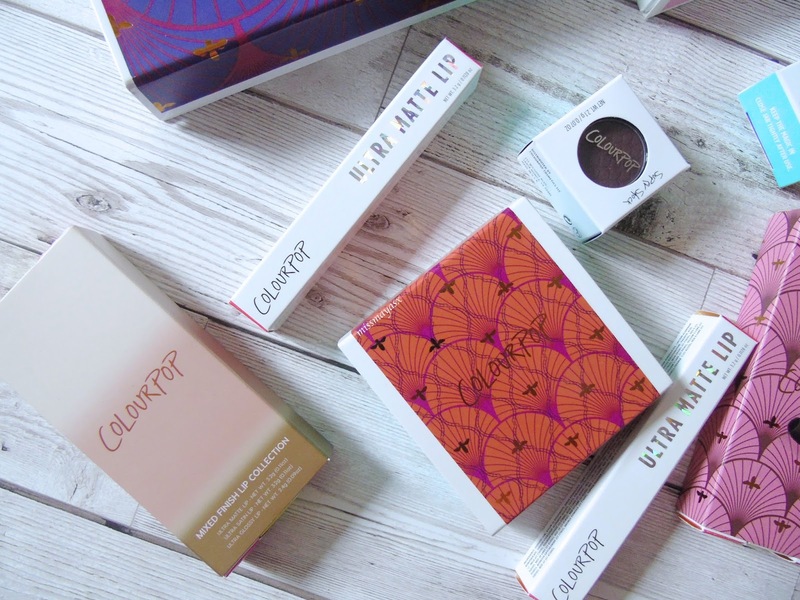 I have quite a big collection of Colourpop cosmetics for one main reason - I absolutely love the products and the brand and think they're very affordable even with customs charges. 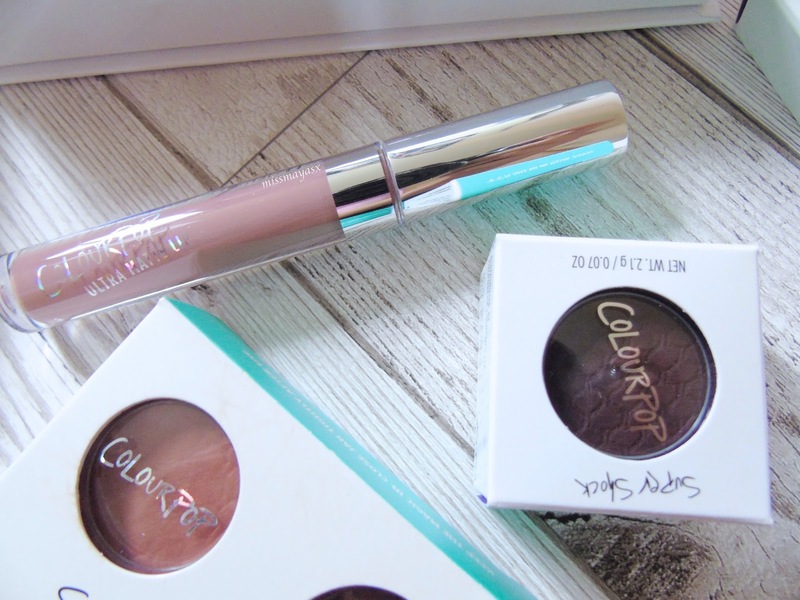 If you've previously read my review of their liquid lipsticks, super shock shadows, or lippie stix then you will already know that I love all of their formulas and that they are very long-lasting. My collection has grown over the past year, and I believe I made my first order back in October 2016. 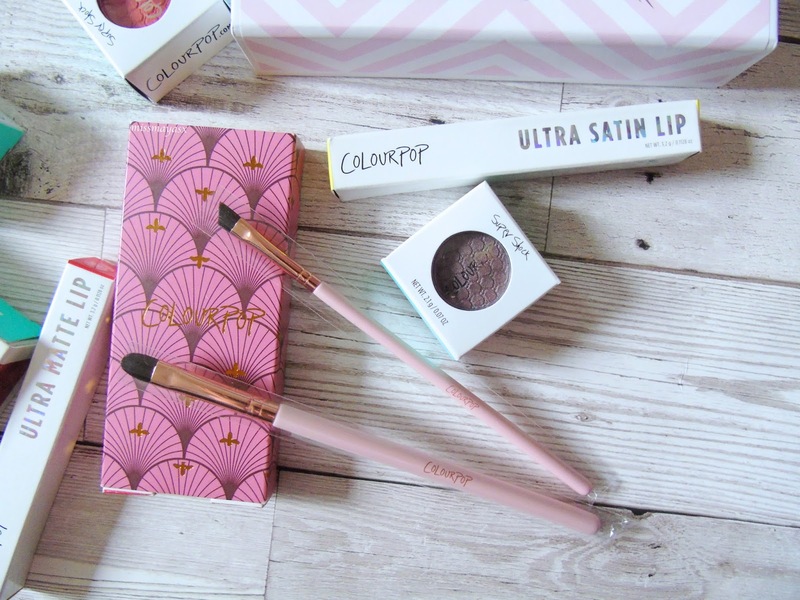 You'll notice that some products are brand new and some have been loved very much, but now I have tried all of the products (the images were taken a while back) I can safely say that I have fallen in love with Colourpop even more than I already was from my very first review, and will continue to purchase their items whenever there are any offers! 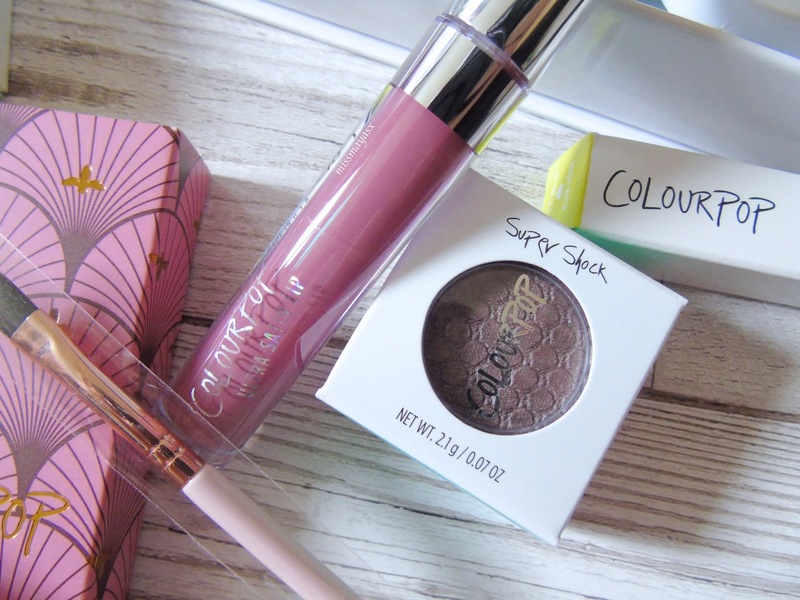 My favourite products from Colourpop which I can't imagine doing makeup without, would probably have to be the liquid lipsticks or lippie stix as they are the only lipsticks I've been using since last year. I'm not trying to exaggerate how good they are, but they're bloody amazing and you need them in your life NOW. I own 9 liquid lipsticks and 6 of the lippie stix, yet I still want more... 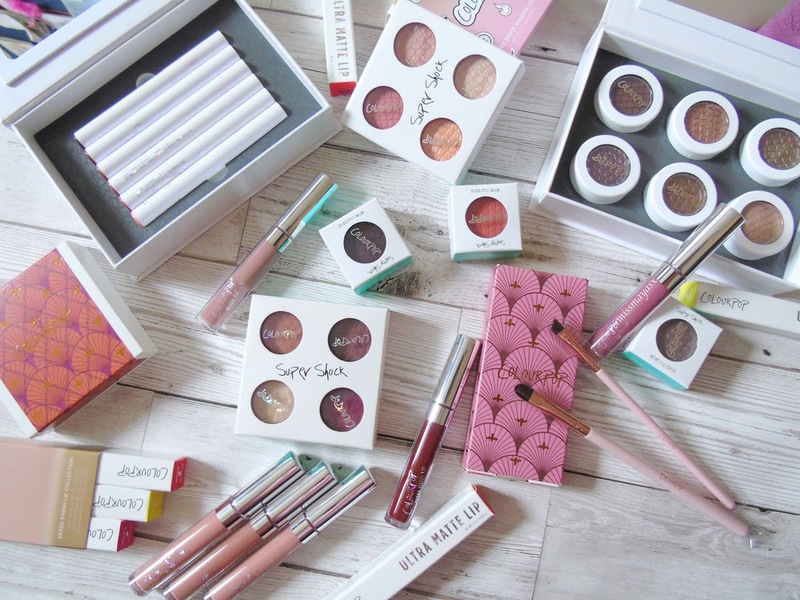 I only buy Colourpop products when they are on offer to get my money's worth after I add the customs charges on top of my bill. The best offer I came across was the '3 for $10' which meant that I got the individual shadows and lipsticks which usually retail at $6, for $3.33 each - say no more. Another great deal would be the 'value sets' which include 3 products for the price of $15 or 4 for $18, which is still a bargain especially if you live in the US and don't have to pay customs. There are usually good offers on delivery too, such as free worldwide shipping on orders over $50 - so imagine the 3 for $10 offer, you get 15 products for $50 and free delivery!! 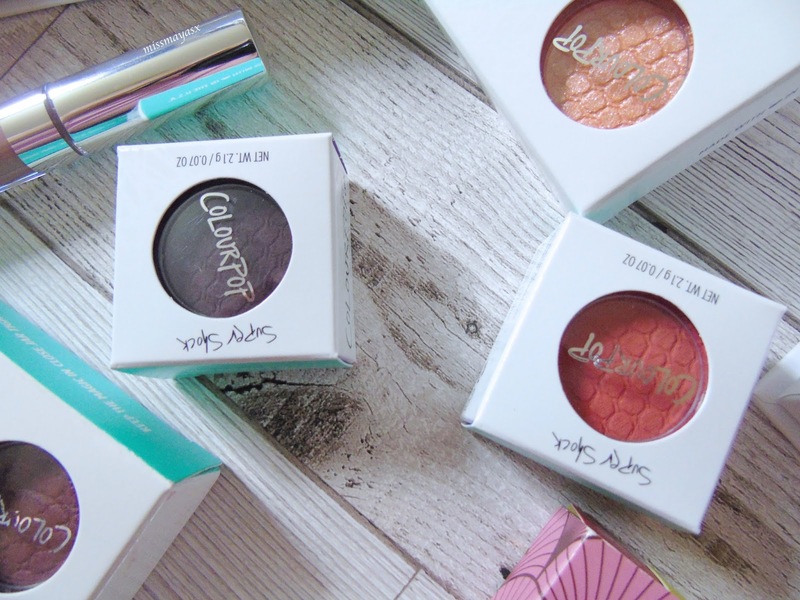 The only eyeshadows I have tried are the super shock ones, and boy, was I shocked at how pigmented they were! All it took was a light swatch and I fell in love straight away. 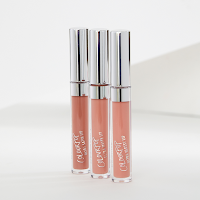 They're also very soft and buttery in touch which makes application and the blending process a lot easier than most shadows. 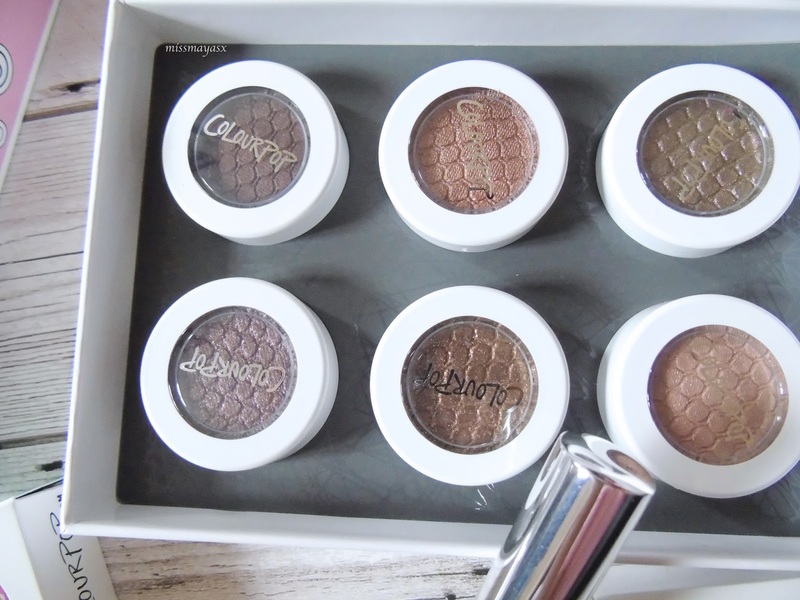 These also come in pans so you can create your own palette but I'm still yet to try them! One of the orders I put through included a deal 'free eye makeup brush if you buy two eyeshadows' so (obviously) I got 4 shadows which were on offer for $18 for the set and was given two brushes. I picked the flat shadow brush and liner brush to try out, there was one more to try out but it was sold out :( better luck next time! I really enjoy using the angled liner brush for my brows, it makes filling them in a lot easier as it's very thin plus it works really well for outlining the perfect arch. The other brush, however, is quite hard to use. I don't use it for eyeshadow unless I create a halo eye look and add loose glitter to my lid, but I mainly use this brush for applying an eyeshadow primer to my lids. 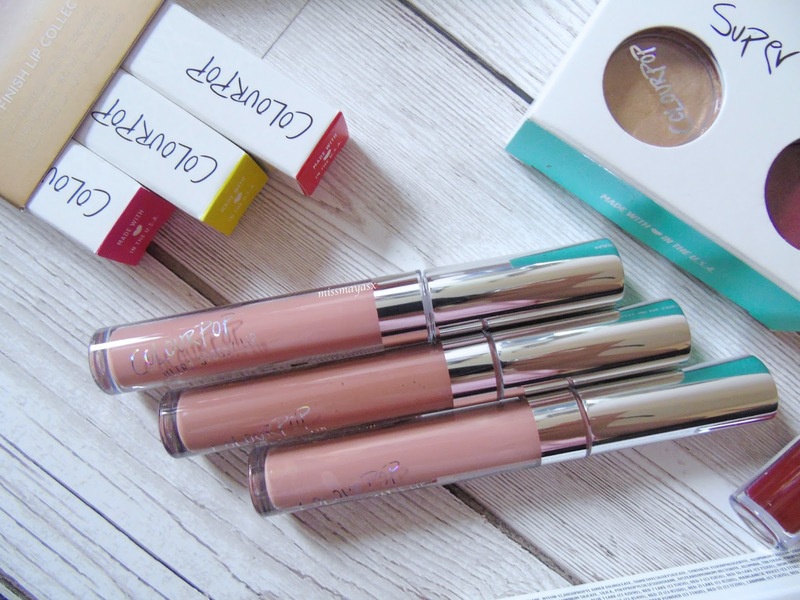 So now that you've read what I think of Colourpop cosmetics, what are your opinions? Are you convinced that the products are good? Would you try them out for yourself? 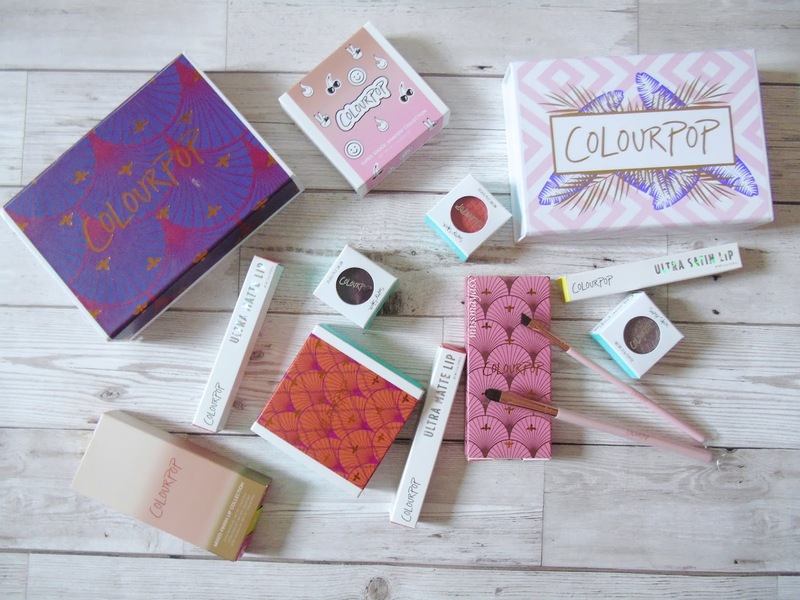 I love Colourpop and I need to get more of their stuff!